Afternoons are always special in Varanasi ghats. 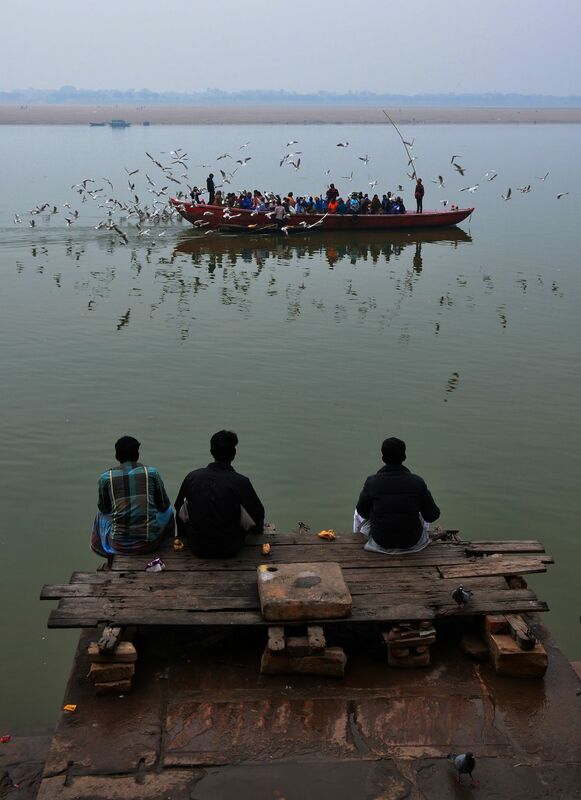 Here i tried to portray the quite and calm essence of the ghat in a winter afternoon.Travelers are enjoying the boat ride with migratory birds surrounding them.Three friends sitting on the ghat are also witnessing the confluence of nature and humans.The day is just going to end with a touch of serenity. Date Uploaded: Sept. 6, 2017, 3 p.m.